It’s common knowledge that having a good credit score will help you get a better interest rate on your mortgage. However, a new study has shown that a good credit score can save homebuyers tens of thousands of dollars. 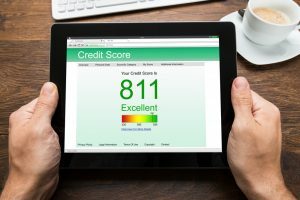 In a recent study by Zillow, researchers found that a borrower with a fair credit score (between 640-680) will pay as much as $720 per year more for a mortgage on the same home as someone with an excellent credit score (760+). Zillow analyzed more than 100,000 mortgage quotes from lenders between March 18 – May 8, 2018, limited to 30-year fixed rate conventional and conforming purchase loans for borrowers with no self-reported history of foreclosure or bankruptcy. Over the lifetime of a 30-year mortgage, therefore, the homebuyers with the “fair” credit score would pay $21,000 more for their home than an homebuyer with an “excellent” credit score. Past financial choices often impact our financial future, especially when those decision are reflected in our credit score. As for Tampa, where homes are more moderately priced with a median home value of $201,000, a person with an excellent credit score might get a 4.57% mortgage, paying $296,000 over the lifetime of a 30-year loan. Someone with a lower credit score may get a 5.09% mortgage, paying $314,000 of the lifetime. That is an $18,000 difference. How Does Your Credit Score Impact Your Mortgage Interest Rate? For the study, Zillow broke down credit scores into five categories: Excellent > 760, Very Good 720 – 759, Good 680 – 719, Fair 640 – 680, and Poor < 640. Although your mortgage intertest rate isn’t based on your credit score alone, it is an important factor that lenders use to assign risk. A higher credit score indicates less risk, so lenders offer a lower interest rate. Conversely, a lower credit score indicates more risk, so lenders offer a higher interest rate. If you are thinking about buying a home or refinancing as existing mortgage, working to have the highest possible credit score can save you thousands of dollars over the life of the loan. This was my first home purchase and I must say that I am so grateful that Mary Catcher was on my team. Mary went above and beyond to ensure that I had everything in place, burning the midnight oil on my behalf and kept me informed ever step of the way! I admired her professionalism and I appreciated that she was still down to earth. I am truly blessed for all she did for me!